Tool with claws designed mainly for loosening and weeding soil. 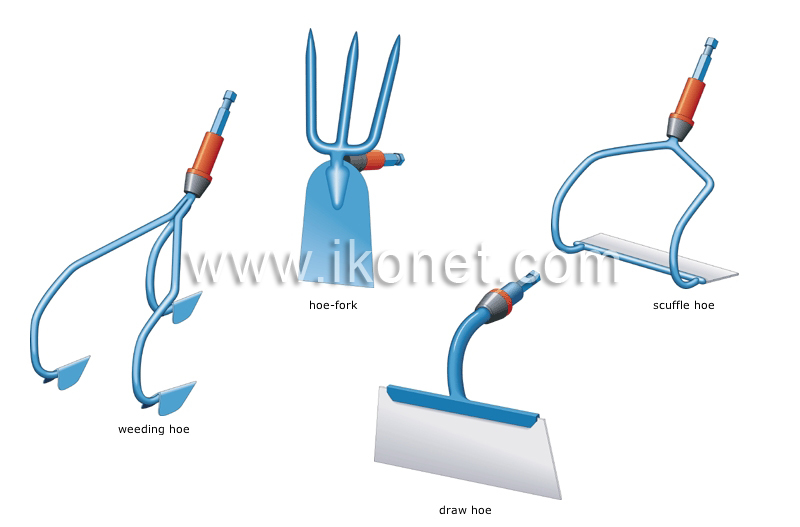 Tool whose blade loosens, weeds and aerates the soil; it is also used to groom the soil around a plant. Tool whose blade, more slanted that that of the draw hoe, loosens, weeds and aerates the soil; it is also used for harvesting root vegetables. Tool with a blade, which serves as a hoe, and tines; it is used especially for making furrows.